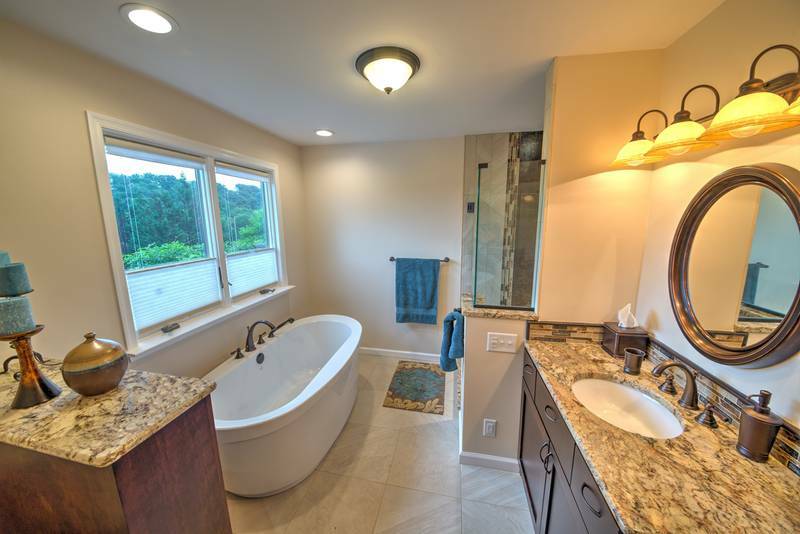 HR Design Remodel has been creating custom bath remodels since 1989! 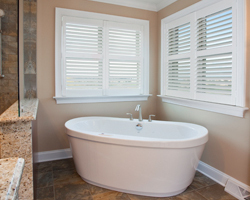 Your bathroom should be a place of rest and relaxation, not a space that induces stress. Why start your days frustrated when you can put a smile on along with what you are wearing? Let Home Remedies Design | Remodel turn your stressor into your oasis. 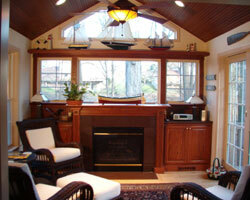 When it comes to remodeling, Home Remedies Design | Remodel takes care of you from the start. We don’t simply cover your problems leaving them to fester; we remove them including what is hiding from view. 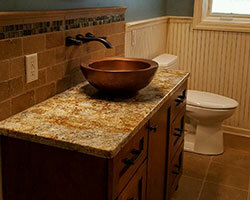 With a knowledge of all available materials being used in today's bathrooms, we will design a space worthy of you. 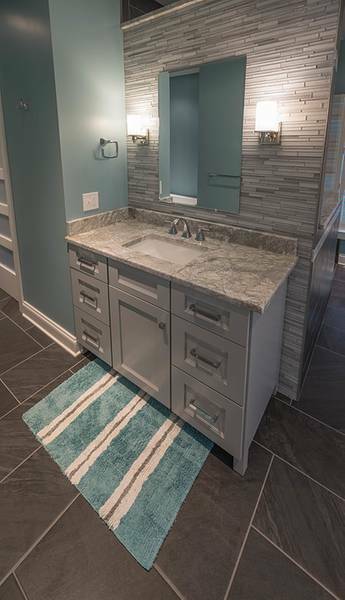 If custom cabinetry is what you are looking for, we can design and install custom cabinets and vanities that are constructed from scratch by a local artisan of fine furniture and cabinetry. We hear this phrase when hunting for a new house, a new office space or looking for a new restaurant to dine in. However, this phrase can also be used when you are looking to settle in a home for years to come. 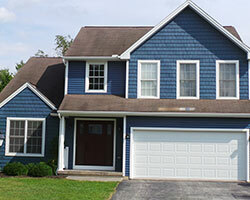 One of our clients moved from Kentucky to Pennsylvania. She admitted in a testimony she wrote to us that she “counted down the days and years until she could move back South”, back to her home. She stated that as they got closer to that retirement age and their children growing up, her thoughts had started to change. She said it was just too difficult to think of starting over, not to mention the good friends they had here in York. 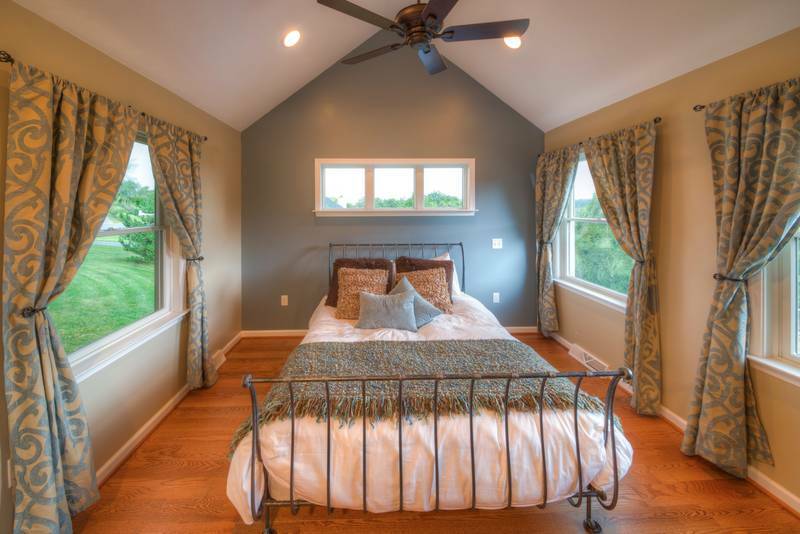 She admittedly told us that after we remodeled her home, which included an addition consisting of a Master Bath and Master Bedroom Suite and remodeled powder room, that she thought the updates had made her house her home. 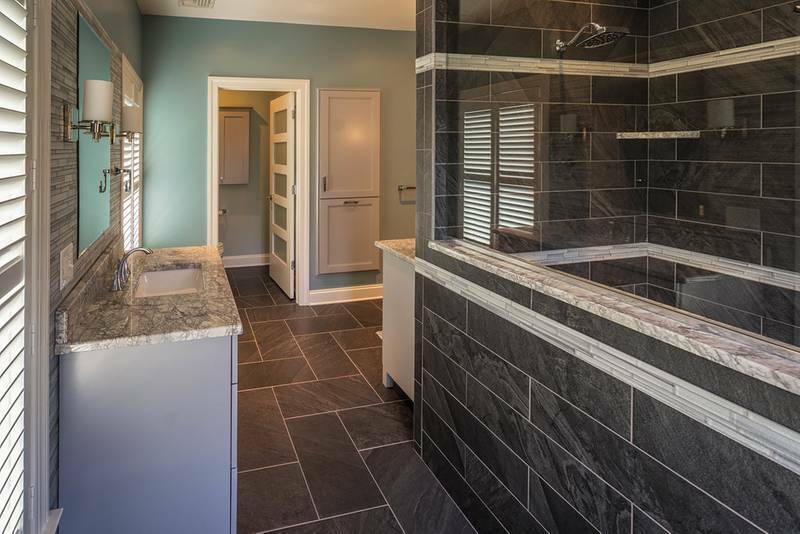 The powder room was so needed because the only guest bath they had was in the old master bedroom, and everyone used that bathroom. 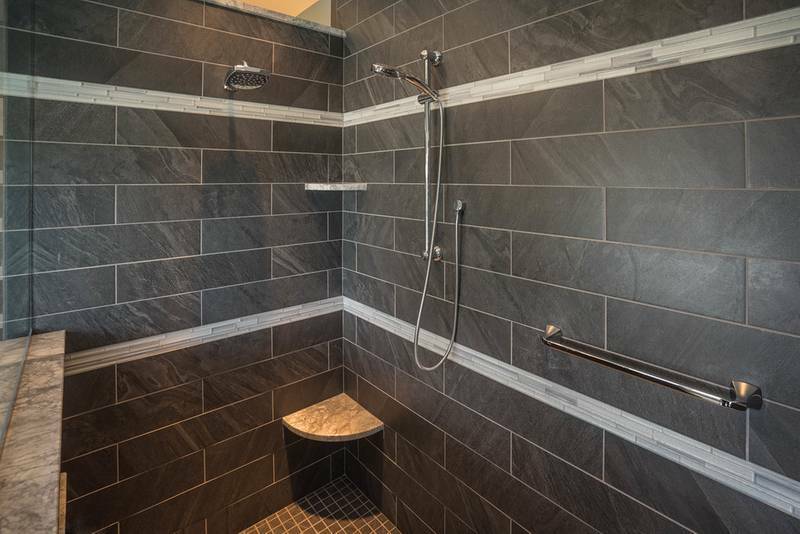 Now with the addition of the powder room, they are able to have the privacy needed in the master bedroom suite. 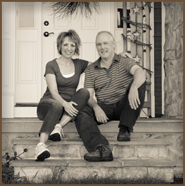 She now boasts that she loves everything Home Remedies Design-Remodel has done to her home and wouldn’t change a thing! Now, she says she can’t imagine leaving it. Making someone love their home that much that they changed their mind about leaving it and the life they had built as a family since moving here. 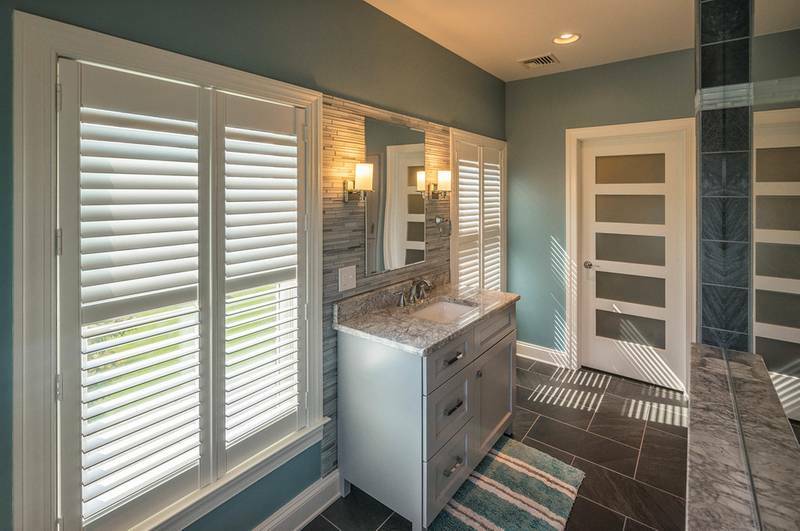 This is our '50 Shades of Gray' Bathroom remodel design we created for a client. 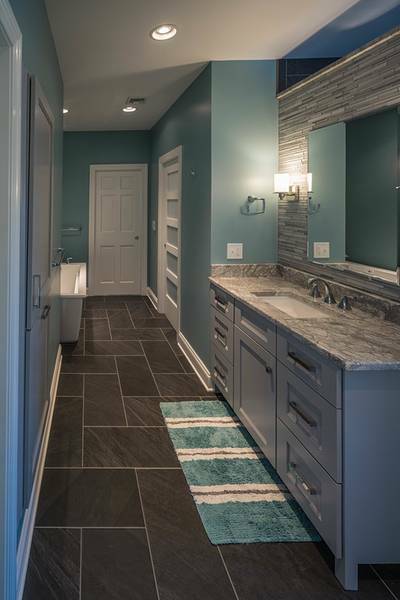 The light and dark hues of gray are set off by the splash of slate blue that gives it fun but yet calming effect. 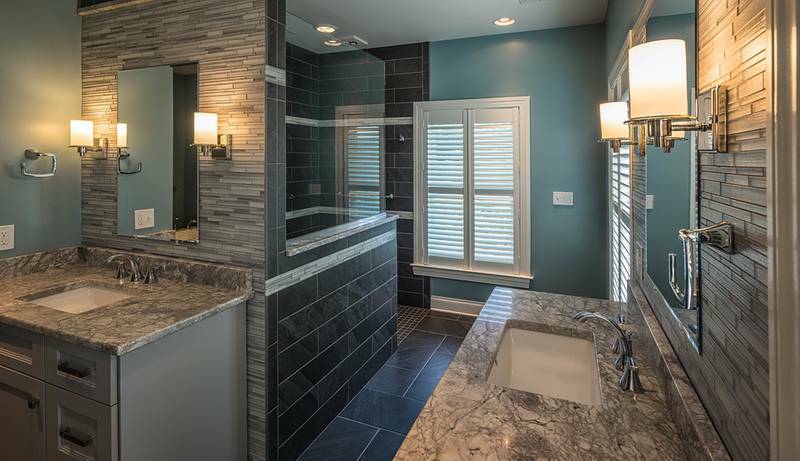 If an updated modern bathroom is on your bucket list, be sure to check out our “50 Shades of Gray”. 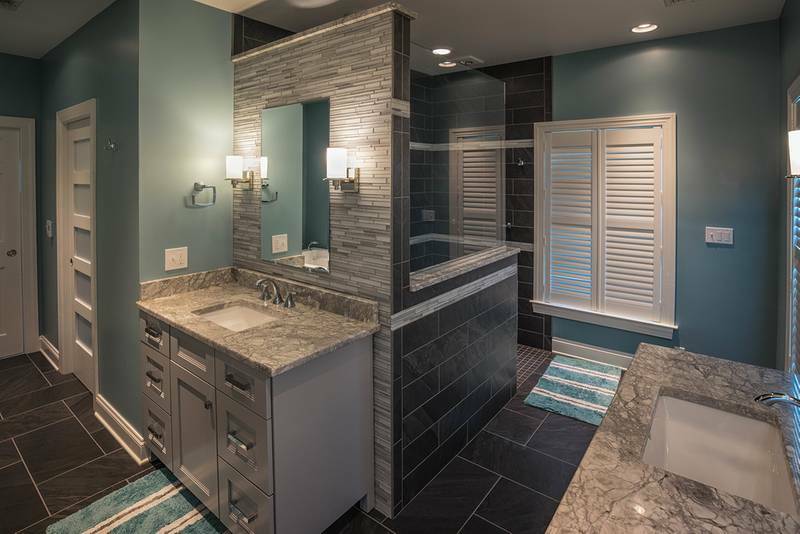 It is an L-Shaped Master Bath which features various hues of grays, blues and whites with separate his/hers vanity area, walk-in curbless shower, separate water closet area, free-standing air tub, and stow-away hamper and storage. 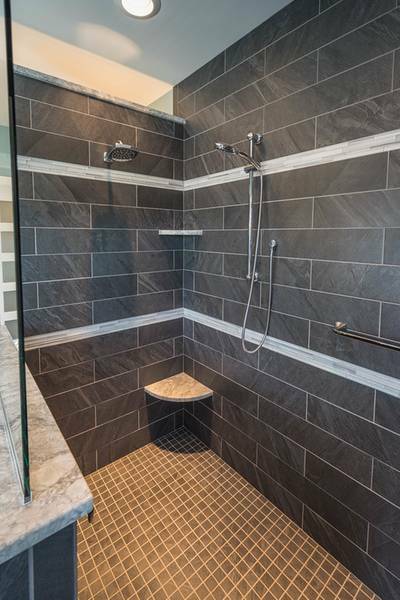 A herringbone pattern for the tile flooring was used to enhance the shape of the room. 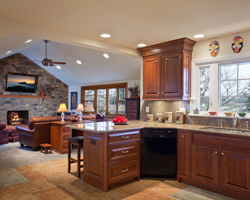 LED lighting with dimmers add softness as well as efficiency. 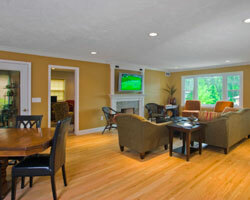 Heated tile floors were installed to create a warm and comfortable environment. 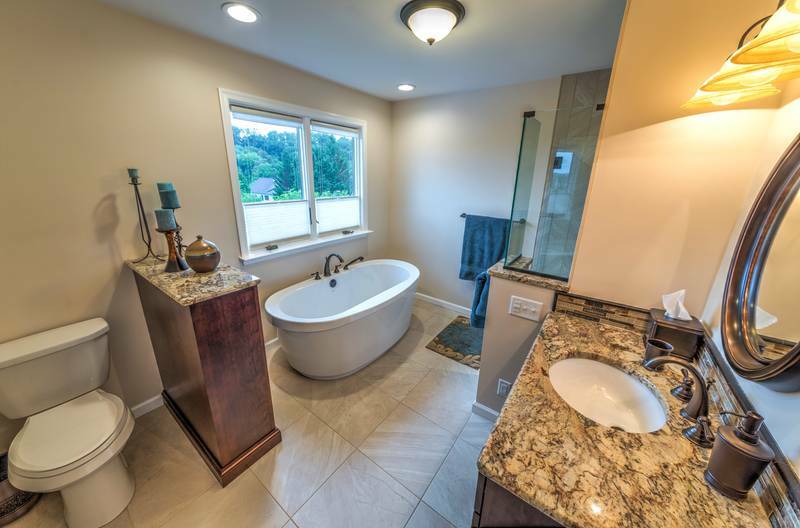 This is one of many bathrooms that we can create, and if you're thinking of embarking on a bath remodel....so, look no further! 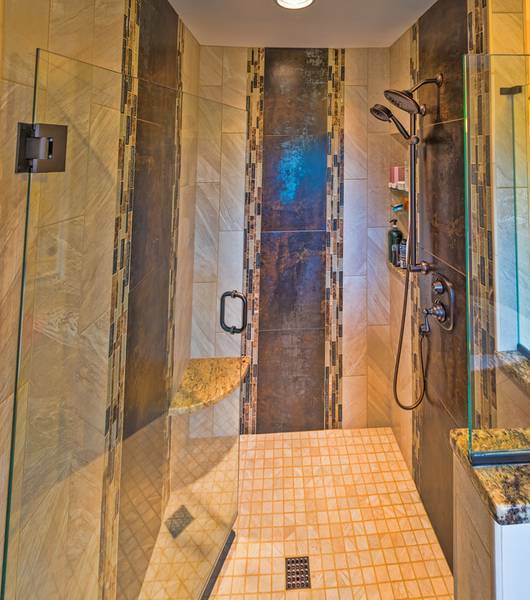 Contact Us to Discuss Your Vision for Your Bathroom Space! 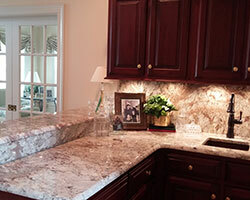 At HR Design Remodel, we have been creating spaces our customers want to come home to for over 25 years! 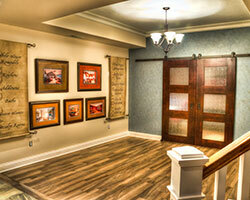 We love seeing our neighbors and community proudly showing off their new spaces where they build lifetime memories.